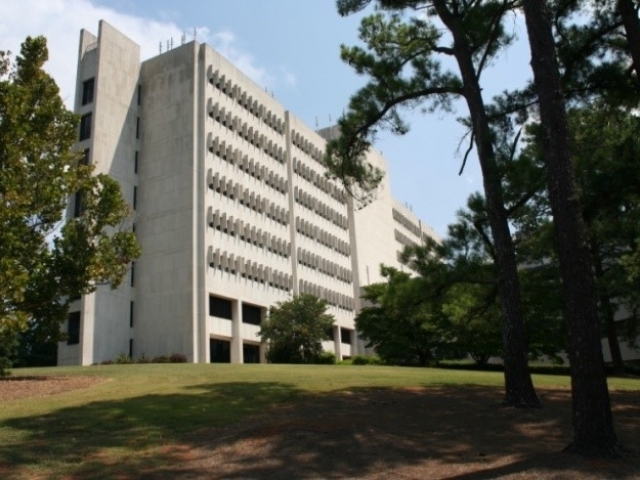 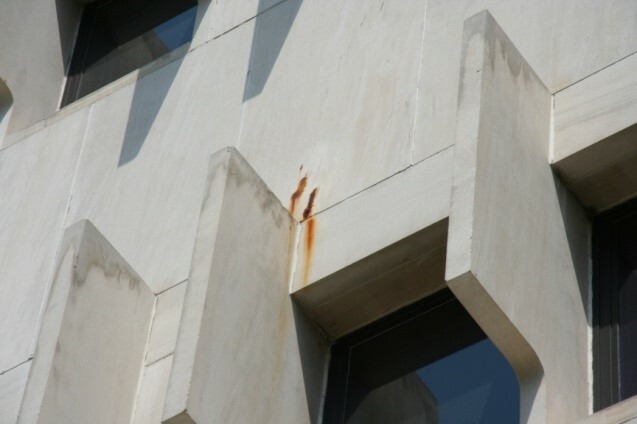 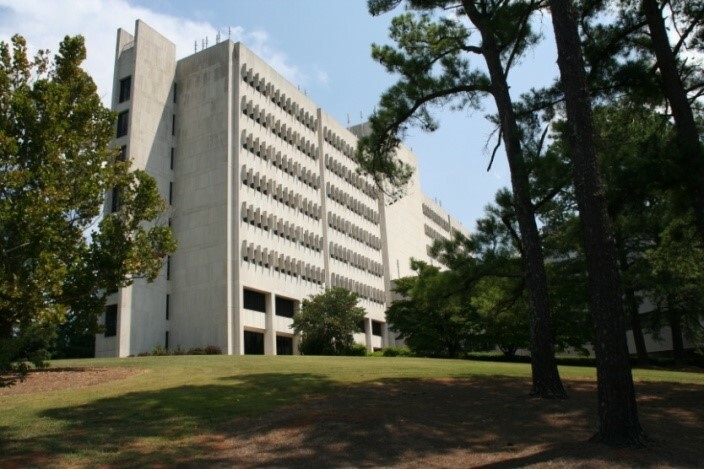 In response to a concern the USDA had regarding cracks and rust colored stains in the limestone façade of the Richard B. Russell Research Center, the team of Toland & Mizell Architects and Innovative Engineering were asked to conduct a façade forensic investigation. 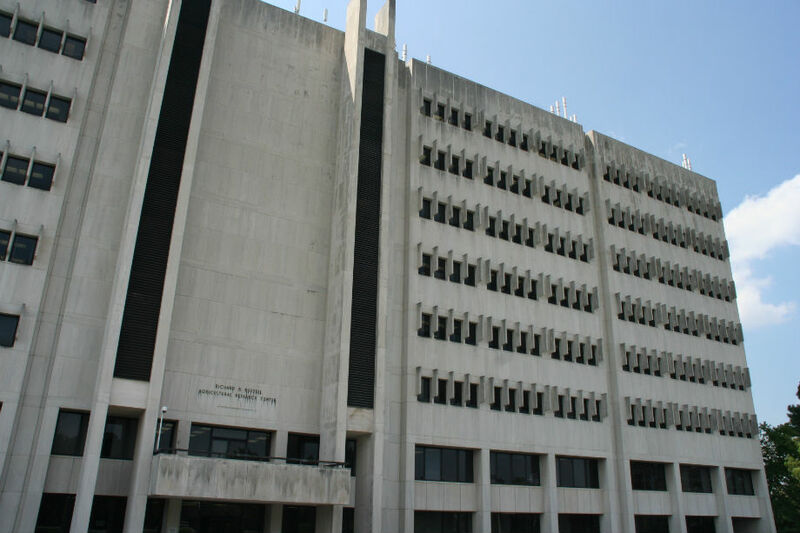 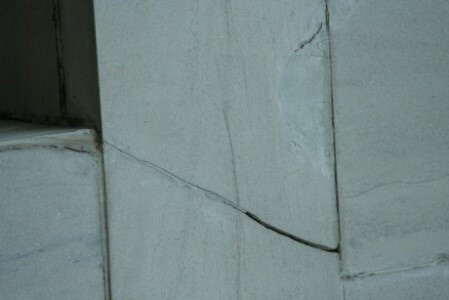 More specifically, the USDA was concerned about the structural integrity of the limestone panels and their supports. 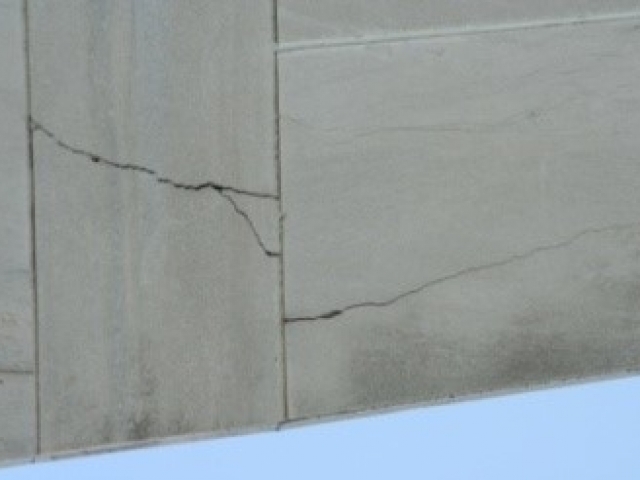 Since only the symptoms of façade degradation can be viewed from the outside of a façade, it was important to look behind the limestone panels. 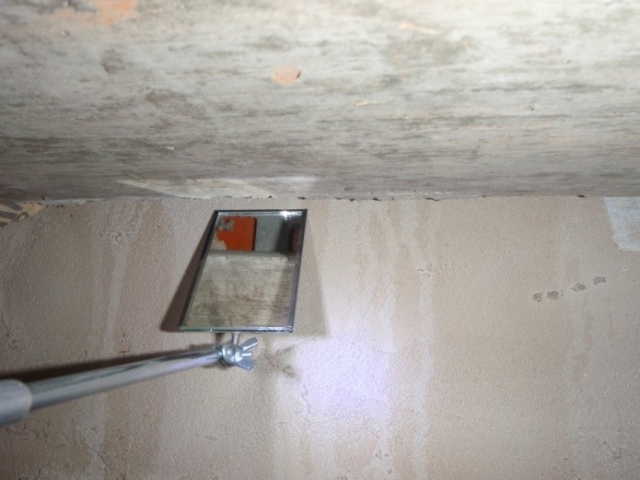 As the limestone backup consisted of concrete and masonry walls, there was a limited number of locations where the back of the panels could be observed with the use of a mirror as shown below. 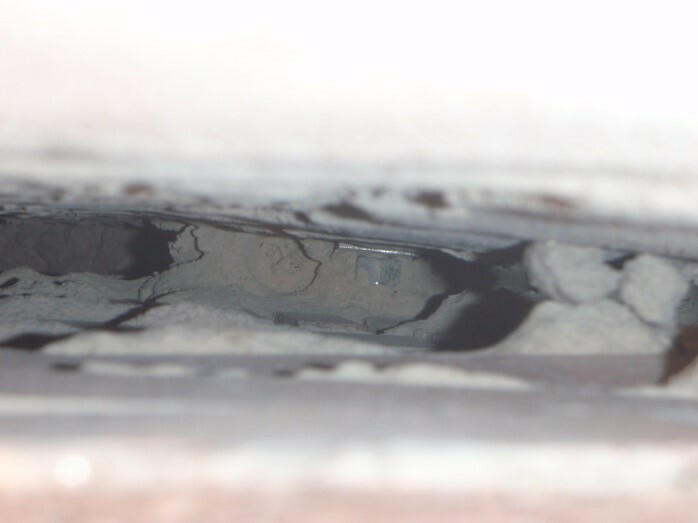 The backsides of the panels were also viewed with a borescope, via a man basket, penetrated through the vertical joints filled with sealant. 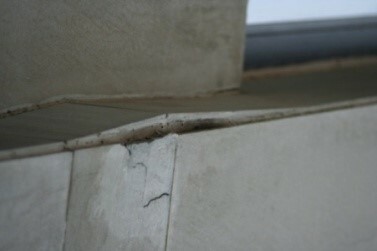 However, this method also proved limiting due to the presence of a parge coat of grout on the backside of the panels. 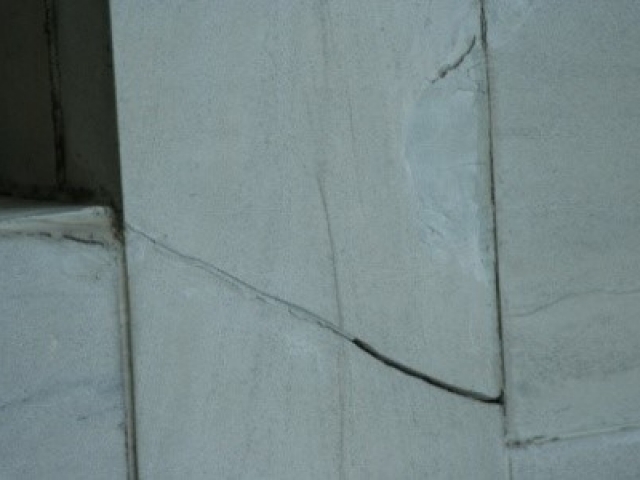 Therefore, a small portion of the exterior façade was removed for closer examination. 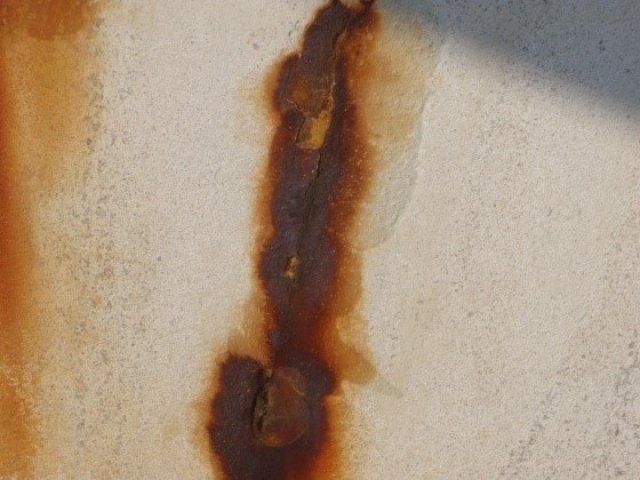 As a result of these three methods, as can be seen from the photos below, it was determined that the primed steel supports were not rusting and they had maintained their structural integrity after 43 years of service. 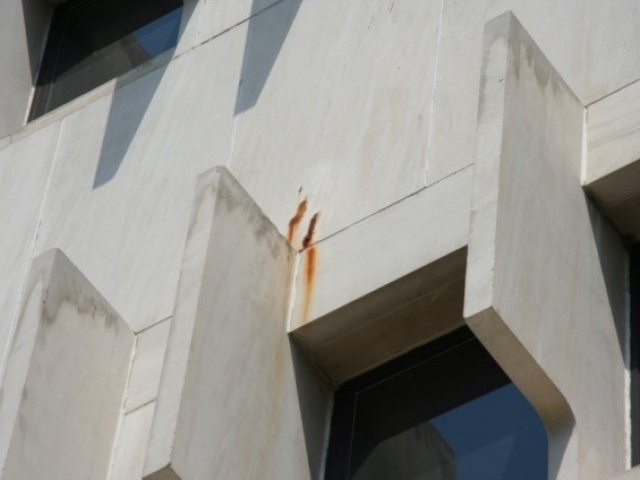 Through further research it was determined that the rust stains on the outside of the building are a result of a chemical reaction within the limestone possibly aggravated by the cement rich parge coat on the back of the panels. 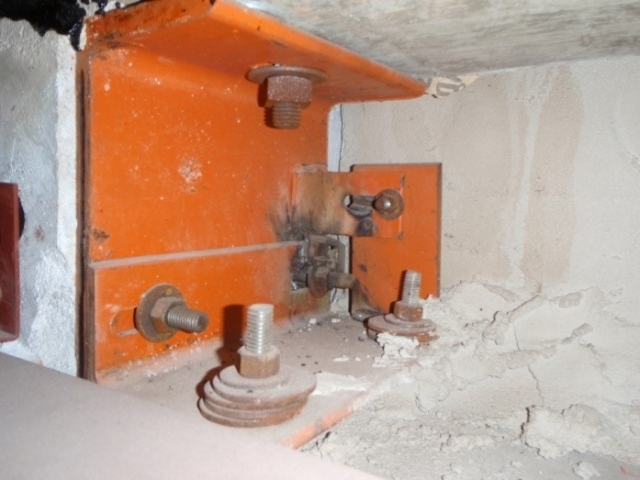 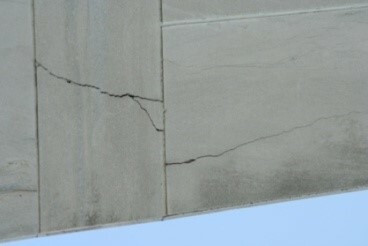 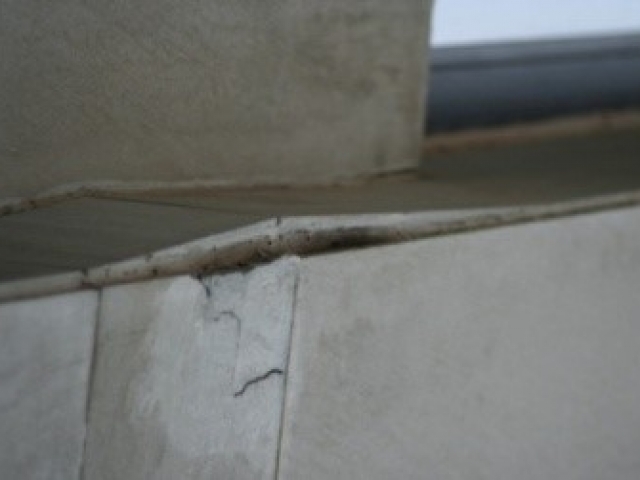 While the cracked panels are still a concern, that is being addressed through the use of repair details generated by Innovative Engineering, the repair costs could have been significantly higher by comparison had it been determined the steel limestone panel supports had lost their structural integrity due to rusting.